Mifepristone And Misoprostol or Misoprostol Only? Mifepristone And Misoprostol or Misoprostol Only? Step-by-step Comparison. Though medical abortion procedure is often known as pregnancy termination using abortion ‘pill’, it does not specifically mean one pill to end the pregnancy. Medical termination of pregnancy refers to ending your pregnancy using a combination of drugs. Despite FDA approving the drug combination as a method of pregnancy termination, there are many women who misunderstand that Misoprostol alone can end their unwanted pregnancy. This blog explains why and how the Mifepristone abortion pill needs to be taken along with Misoprostol abortion pill during the procedure. What happens when you take Misoprostol? When you take Misoprostol only, it gets difficult for the pill to start functioning. It is because of the pregnancy status which is still developing in the woman’s body. After consuming Misoprostol, the pill tries to eject the pregnancy contents. However, since their development is not stopped, the fetus does not get detached from the uterus. As a result, consuming Misoprostol alone results in an incomplete medical abortion. Women have progesterone hormone in their body which are responsible for the development of the pregnancy. When you are planning to end your unwanted pregnancy, you must stop its growth. 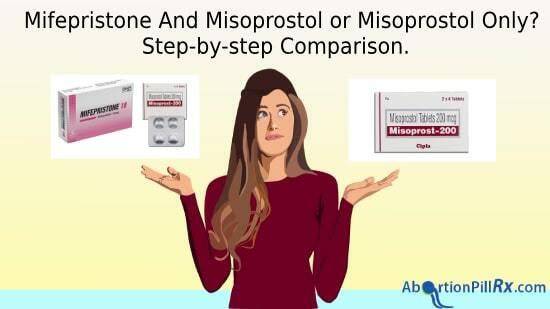 When you take the Mifepristone abortion pill, it contains antiprogesterone components. These components work against pregnancy-growing hormones and stop their growth. This is how the development of pregnancy is stopped with the help of Mifepristone. The Misoprostol abortion pill contains prostaglandin components. Once the pregnancy is stopped and the elements present in the tablet causes uterine contractions in the body. As you experience contractions in the uterine lining, you would also encounter intense cramping in your abdominal area. Additionally, heavy vaginal bleeding is also experienced which is considered as one of the most important symptoms of pregnancy termination procedure. You can also find this combination of abortion drugs in MTP kit. If you searched for abortion pill online, MTP kit is the most popular product you’ll ever find on the internet. You must administer the pills as instructed. One pill of Mifepristone and 24 hours later, four pills of Misoprostol can successfully end the pregnancy up to 9 weeks i.e 63 days of gestation. 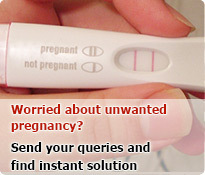 The symptoms of pregnancy termination may show that the procedure is getting completed, however, one must take a pregnancy test to confirm that the pregnancy is ended successfully. For this, you can check the status after 10-14 days. This entry was posted in Abortion Pill Information and tagged Mifepristone Abortion Pill, misoprostol abortion, MTP kit online on March 2, 2019 by admin.